Small satchel with center zipper compartment. Comes with a removable and adjustable crossbody strap. 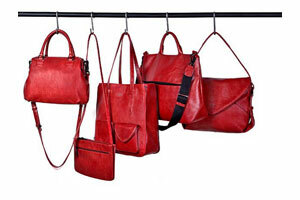 MATT & NAT is a vegan handbags line designed in Montreal, Canada since 1995, that is completely cruelty-free. Inspired by everyday life, architecture and graphics, MATT & NAT aims at creating beautiful things that have a positive impact. Following this philosophy, the vegan brand puts a strong emphasis on environmental awareness : linings inside MATT & NAT products are always made out of 100% recycled plastic bottles. Introduced in 2011, the use of cork, a renewable resource, for the labels inside the bags is another great sustainable feature of MATT & NAT designs. Live beautifully is the mantra at the core of MATT & NAT. Living beautifully means appreciating beauty, humanity, creativity and positivity.